"This is a recipe I created because I simply love champagne and wanted to treat my champagne to a little treat." Fill a martini shaker half way with crushed ice, then add vodka and orange liqueur. Fill the rest of the way with champagne. Shake vigorously, and strain into a martini glass. Garnish with orange slices. Very nice.... 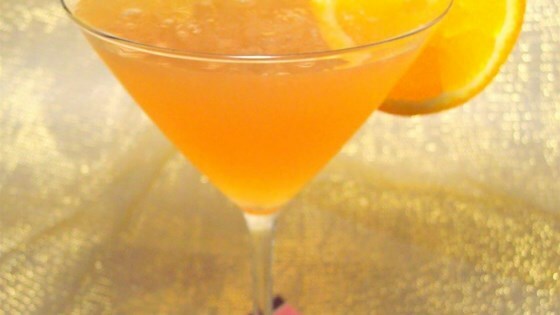 Try a Limosa: Champagne & Limoncello... aww so refreshing and tasty!! We did not care for this recipe. We had friends over last night and were drinking champagne so I figured I would try this recipe. What a waste of good champagne. Way too strong. I thought this was very good! I never had a fizzy martini before! I love the citrus, very refreshing! A great way to use up leftover champagne!